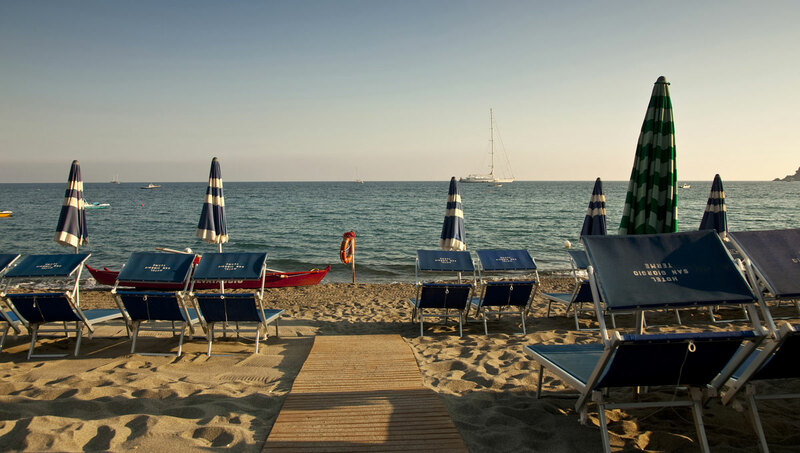 Our guests can relax in the free private beach located within walking distance of the Hotel. Take the ramp from the hotel to the small square and walk to the gardens, then take the stairs to the beach. From the beach walk about 100 meters towards Sant’Angelo to reach Hotel San Giorgio’s private beach. The walking distance from the Hotel to the lido is 450 meters. Find free lounge beds and umbrellas to spend a relaxing day at the beach. Move the volcanic sand with your feet to treat yourself to the streams of hot water coming from the micro-thermal springs that dot the seabed in this area. If you love swimming go a few meters off shore to find deep waters. Grab a mask and flippers to explore the charming fish and flora of the underwater riff located 100 meters from the shore. Alternatively, rent a canoe at the jetty nearby the hotel and paddle in the bay or rent a raft to explore the surroundings. Reach Sant’Angelo and discover the fumaroles: small volcanic explosions of stream and gas that can be enjoyed from a close distance with mask and flippers. 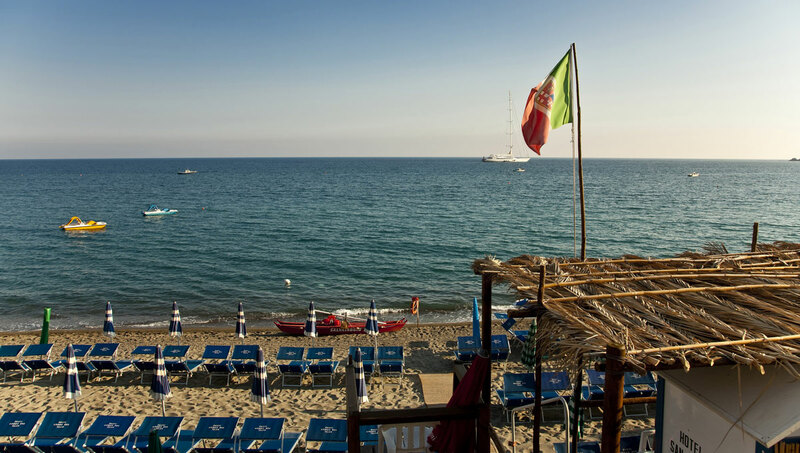 Choose whether to have a bite on the beach or go back to the hotel for lunch: Maronti beach is dotted with bars and small restaurants offering a variety of light and rich preparations.